You can now sign up for Partner Marketing Center, a free marketing automation tool, and start campaigning to your customer base. Learn more about PMC here. TBI and AT&T commissioned Channel Futures to report on channel partners' investments, industry trends, consumer behavior and more. Download the report here. See Bryan at Channel Partners Evolution in Philadelphia. Want to learn more about marketing? Download our Marketing 101 guide. We're heading to the West Coast for two Cloud Commission events: San Francisco and Southern California. 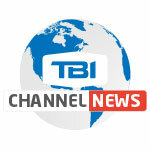 TBI continues to grow its vendor portfolio with the addition of 5 new vendors. Sell Verizon Wireless directly with Verizon Wireless. Learn more here.